Life delivered a very sweet gift when my children’s book, illustrated by wonderful Maine artist Leona Hosack, came into the world this week, published by Baha’i Publishing. 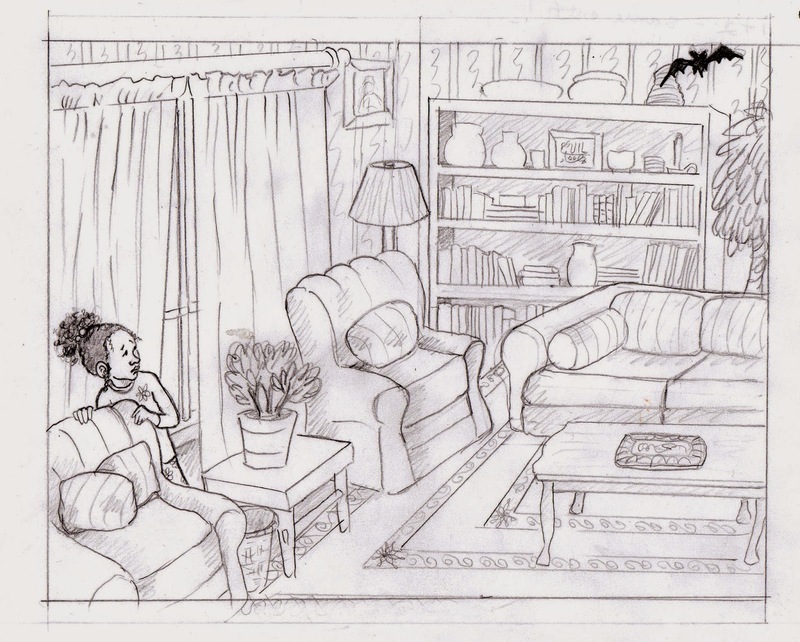 Jamila Does Not Want A Bat in her House is the story of a little girl frightened by the bat swooping around inside her house, especially when her parents can’t get it outside. It flies out of their reach, over their heads, and disappears where they can’t see it. Jamila does not like this game of hide-and-seek at ALL. When she finally sees the bat up close, she discovers that it’s very small, and that it might be as scared as she is. That’s when she finds the compassion, and the courage, to help the bat, her family, and herself. Along the way, she learns about perseverance, cooperation, and the real power of prayer to help us meet the challenges that can arrive in our lives like unwelcome visitors. Bats have visited my family’s Victorian house regularly through the years. Over time, as our family solved the challenge of freeing them, we learned a lot, as Jamila does, about the value of empathy, and of working together for the benefit of all (including the bat). Categories: Creativity and spirit, Jamila and her Bat, On the heart's path, This writer's path | Tags: Baha'i Publishing, bats, challenges, children's picture storybook, compassion, courage, empathy, illustrator, Jamila Does Not Want a Bat in Her House, Leona Hosack, perseverance, prayer, working together | Permalink. 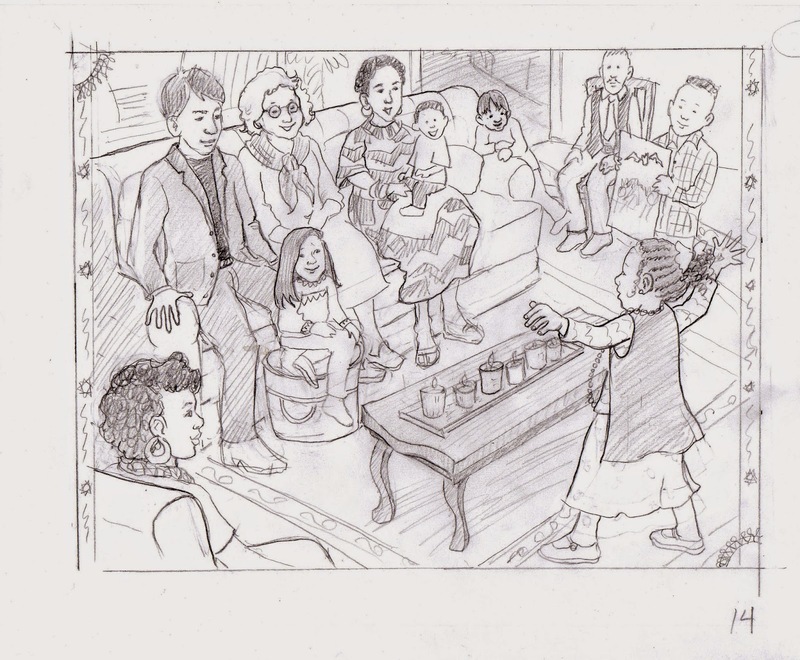 Life delivered a very sweet gift recently from artist Leona Herzig Hosack, when she told me that her illustrations for my forthcoming children’s book from Bellwood Press are nearing completion. Better, yet, she’s letting folks have a peek. 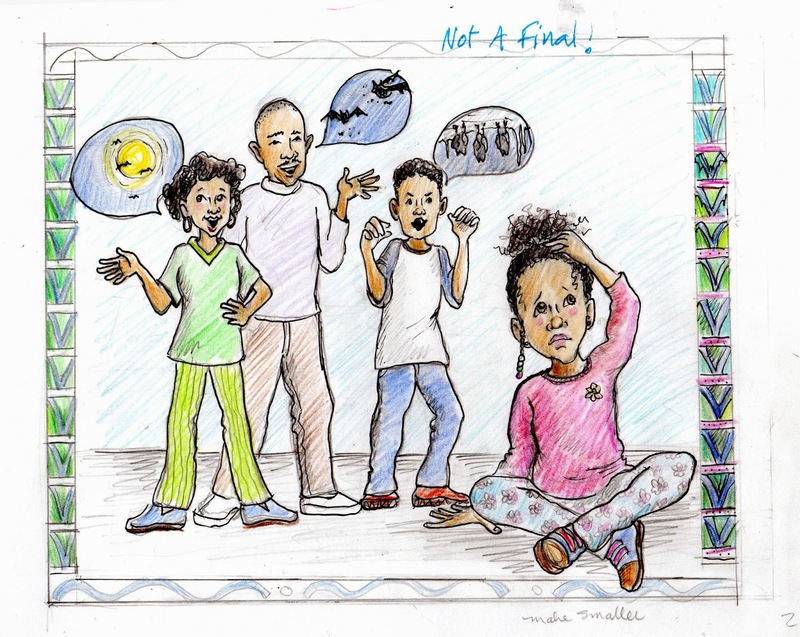 Jamila Does Not Want A Bat in her House is the story of a little girl frightened by the bat swooping around inside her house, especially when her parents can’t get it outside. It flies out of their reach, over their heads, and disappears where they can’t see it. Jamila does not like this game of hide-and-seek at all. When she finally sees the bat up close, she discovers that it’s very small, and that it might be as scared as she is. That’s when she finds the compassion, and the courage, to help the bat, her family, and herself. Along the way, she learns about perseverance, cooperation, and the real power of prayer to help us meet the challenges that can arrive in our lives like unwelcome visitors. Categories: Creativity and spirit, Jamila and her Bat, This writer's path | Tags: bats, Bellwood Press, children's picture book, cooperation, courage, family unity, Jamila Does Not Want a Bat in Her House, Leona Herzig Hosack, tests and challenges | Permalink.